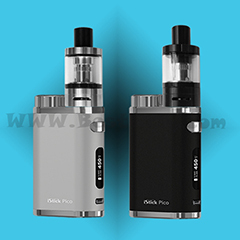 PG e-liquid, VG e-liquid or PG/VG Mix e-liqud? Summary: What Does %PG/%VG Mean? how to choose VG or PG base of E-liquid?What is VG? What is PG? What's the difference between PG e-liquid, VG e-liquid or PG/VG Mix e-liquid? which is safer to inhale? What Does %PG/%VG Mean? how to choose VG or PG base of E-liquid? 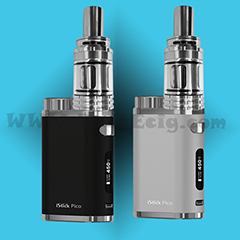 Vape Nicotine E-liquid is a mixture of varying amounts of about 4 different ingredients. Water, Nicotine, PG (propylene glycol) or VG (vegetable glycerin) and flavoring. Some liquids can have additional ingredients, but for the most part, these are the main ingredients to all e-liquid. The amount of nicotine is dependent on the strength of nicotine in your e-liquid, but let’s say it is around 10% nicotine. Somewhere around 10% of your e-liquid will be flavoring. And depending on how you like your vape, that determines the percentage of PG and VG in your e-liquid. VG stands for Vegetable Glycerin. It is a carbohydrate that is usually derived from plant-based oils and is used in consumer products like cosmetics and electronic cigarette liquids. 2). 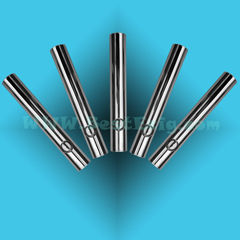 What is the physical property of VG? Vegetable Glycerin is a clear, colorless, and odorless liquid with an incredibly sweet taste and high viscosity. 3). What does VG do in e-juice? VG produces more vapor than PG, but flavour is milder than PG, because it is thicker to blend well with flavour. For those who are allergic to PG, VG is an alternative. 4). 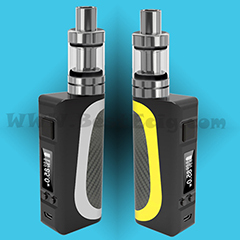 Do VG and flavour together equal to e-juice? No, they don’t. If you just mix VG and flavour and drop to cartridge or cartomizers, there will be no vapor. They could not be vaporized without e-juice. VG in Healthcabin reaches to USP food grade. Vegetable Glycerin (VG) is organic. VG is naturally sweet, but since it is metabolized in a manner different from the way sugar is, it is not known to raise the blood sugar level in people. It has also been used in the processing and production of foods that are advertised as being low in carbohydrates and is not known to contribute to tooth decay. 6). What other functions does VG have? It is used as an agent in cosmetics, toothpaste, shampoos, soaps, herbal remedies, pharmaceuticals, and other household items. Because it is soluble in both, water and alcohol, its versatility is a major benefactor in its purported growth and popularity within the manufacturing sector. It is invaluable as a natural source ingredient with emollient like properties which can soften and soothe the skin and it assists the outer epidermis in retaining moisture. PG is the abbreviation of propylene glycol. It is an organic compound. It is a colorless, nearly odorless, clear, viscous liquid with a faintly sweet taste, hygroscopic and miscible with water, acetone, and chloroform. 2).What is the function of PG in e-juice? 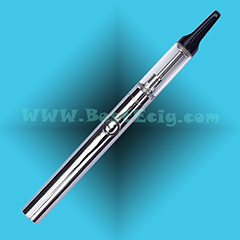 In electronic cigarettes, it plays the role of a vaporizable base for diluting the nicotine liquid. 3).Do PG and flavour together equal to e-juice? No, they don’t. If you just mix PG and flavour and drop to cartridge or cartomizers, there will be no vapor. They could not be vaporized without e-juice. 4).Is PG safe, even for prolonged inhale? The use and effects of propylene glycol have been thoroughly researched. It has been used safely for more than 50 years, including adoption in health-sensitive applications such as food, cosmetics and pharmaceuticals. *Studies have proven that propylene glycol has a very low degree of toxicity. *Prolonged contact with propylene glycol is essentially non-irritating to the skin. *Propylene glycol does not cause sensitization and it shows no evidence of being a carcinogen or of being genotoxic. *Some vapers may be allergic to PG. What's the difference between PG e-liquid, VG e-liquid or PG/VG Mix e-liquid? 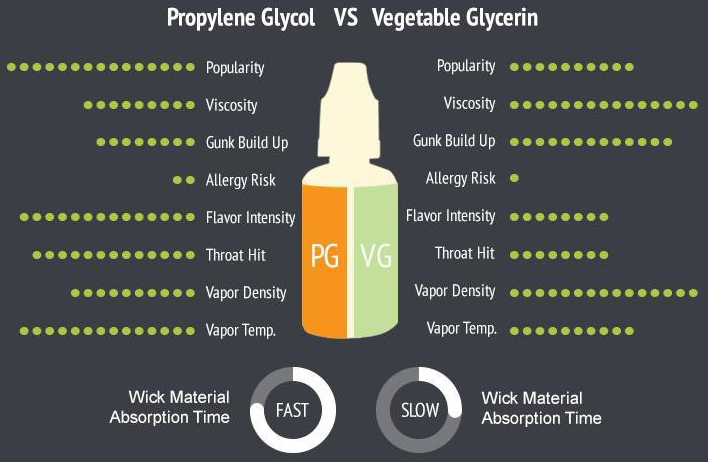 Vegetable Glycerin (VG) e-liquid is a thick, a little sweet liquid. VG e-liquid produces luscious clouds of vapor. VG e-liquid also imparts a sweeter taste to your e-liquid. Propylene Glycol (PG) e-liquid is a much thinner liquid. PG e-liquid produces more of a “throat hit” than VG e-liquid does, which simulates the feel of smoking better. PG e-liquid also has a higher rate of sensitivity for some people, meaning that some people just can’t use PG in their vape. PG e-liquid tends to give you a better throat hit and a lot more flavor. 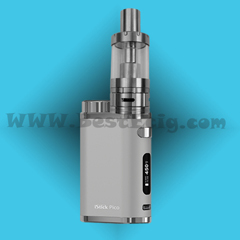 VG e-liquid on the other hand, allows your atomizer to produce a lot more vapor. 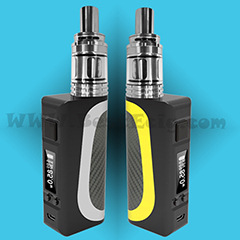 Now, VG e-liquid is a thicker and more sticky fluid, and although most people do not show signs of allergy with VG, there are minority groups who complain about having phlegm buildup in their throats. The more VG e-liquid you use, the less of a throat hit you’re going to get – that’s the general idea. 60%/40% mix of VG and PG in your e-liquid can produce great vapor and more flavor. If you like, you can tend to use mix of both PG and VG in particular ratios, such as 70%VG/30%PG. This is the optimum ratio for most each uses as it provides a nice throw hit, good flavor as well as tons of vapor production.